Teams Kakashi and Guy return home to Konoha. As Kakashi rests in the infirmary, Sakura tells Tsunade about the information Sasori gave her as a reward for defeating him. Sasori had a meeting scheduled with a spy from within Orochimaru's ranks in 10 days. 4 days have passed since Sakura received this information, and now Naruto and Sakura need to recruit a new team member to go and investigate. As Naruto searches Konoha for a willing recruit, he meets some of his old friends. Just as Choji agrees to help, Shikamaru, Choji and Naruto are attacked by a Konoha shinobi unknown to them, Sai. Naruto, Choji and Shikamaru attempt to capture and interrogate Sai, but Sai withdraws after insulting Naruto. Shortly afterward, Ino appears. Concerned that the demon fox could fall into Akatsuki hands, the village elders challenge Tsunade's plan to send Naruto out of the village without the still bedridden Kakashi. Tsunade promises to protect Konoha with her own life if Naruto is captured, but is still forced to compromise with Danzo by adding Sai to Team Kakashi. She also temporarily replaces Kakashi with ANBU member Yamato and warns him to keep an eye on Sai. Naruto and Sakura finally meet their new team members, and Naruto is immediately angered upon Sai's appearance. Yamato takes temporary leadership of Team Kakashi while Sai insults both Naruto and Sakura. While preparing to set off, Sai receives an envelope from a Root shinobi containing secret orders from Danzo, and Sakura consults with Tsunade. Jiraiya then meets with Tsunade and Yamato in Kakashi's hospital room to brief Yamato on the demon fox within Naruto, detailing the "demon fox's cloak", and revealing a scar he got from Naruto when the fourth tail formed. Finally the new Team Kakashi set off on their new mission, to intercept an Akatsuki spy and gather information about Sasuke. The new team Kakashi heads out for the Heaven and Earth bridge. Sai, Sakura, and Naruto come to blows after just 5 minutes on the same team due to Sai making fun of Sasuke. Therefore, Yamato decides they need to improve on teamwork and uses Mokuton to create a wooden cage threatening to lock the team up unless they behave. Given an ultimatum between being locked up or spending the night at a hot springs, the team chooses to visit the springs to improve team cohesion. Naruto still despises Sai despite this effort, and several insulting remarks from Sai worsen team relations. Sakura sees Sai drawing by the river and finds out that Sai has artistic talent but has never given titles to anything he ever drew. Naruto and Sakura begin to realize the reason behind Sai's repulsive personality. After the hot springs, the team heads off to the bridge to meet the spy. Yamato is suspicious of traps so they go off the main road into the forest. Camping for the night, Yamato then creates a two story house by again using his Mokuton jutsu. Inside this house, the team formulates their plan. 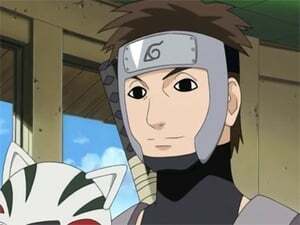 Yamato disguises himself as Sasori after creating a wood replica of Hiruko, and goes to meet the spy. The spy turns out to be Orochimaru's right-hand man, Kabuto Yakushi, who reveals the location of Orochimaru's current hideout to Yamato. Orochimaru interrupts the meeting, appearing to attack Kabuto, and while it initially appears that Orochimaru has come after Kabuto, Kabuto attacks Yamato and reveals that he is truly loyal to Orochimaru. Orochimaru calls out Naruto, Sakura and Sai from where they are hiding and observing the meeting, and prepares to fight the team. 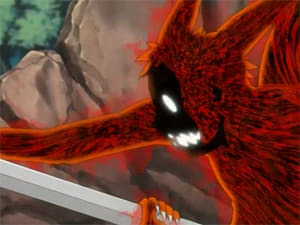 Episode 40 - The Nine-Tails Unleashed!! Immediately after Yamato signals Naruto and the others out to the bridge where Orochimaru and Kabuto are waiting, Naruto's chakra begins to boil with the chakra of the Nine-Tailed Fox. 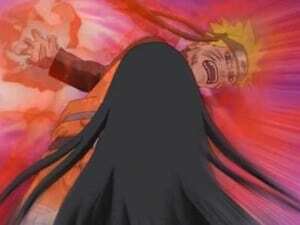 Slowly, Naruto grows more tails as Orochimaru taunts him and makes him even more angry. Meanwhile, Yamato remembers Jiraiya speaking of how many tails he has seen Naruto grow. Jiraiya explains more about what happened and more about how Naruto acts when he's in his Nine-Tails form. Naruto continues to get even more enraged and easily counters Kabuto's attack, flinging him away. Naruto's counter throws Kabuto into Sakura, knocking her unconscious. Orochimaru continues to watch Naruto become more enraged, eventually destroying the Bridge of Heaven and Earth. As the bridge collapses, Sakura slides off the edge. Sai draws a bird to fly, but chooses to follow Naruto and Orochimaru instead of saving Sakura. Yamato saves her at the last second, and creates a wood clone to catch up to the battle. 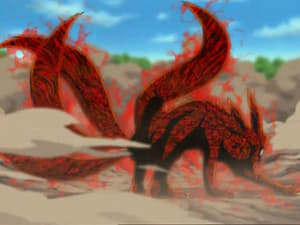 Eventually the fourth tail appears, allowing the vile chakra to completely control Naruto's body, forming him into a miniature Nine-Tailed Fox. Naruto, in the four-tailed state, begins attacking Orochimaru with incredible force, devastating the surrounding landscape and preventing Sai and Yamato's wood clone from approaching him. The majority of Orochimaru's attacks prove to be ineffective, but Naruto also fails to kill Orochimaru as he regenerates from any injuries he sustains. Meanwhile, Kabuto advances toward Sakura and Yamato, deducing that Sasori has died. Orochimaru finally manages to strike Naruto with a sword blade from his mouth, and Sakura reacts in horror when she sees Naruto's four-tailed state. Kabuto comments that Naruto's state is a consequence of his desperation to bring back Sasuke. Sakura begins to cry and approaches Naruto but is injured when his attention turns to her. Yamato uses the mokuton jutsu to bind Naruto before he does any more harm. Kabuto heals Sakura, reasoning that the Konoha ninja are not Orochimaru's enemies because they are also fighting Akatsuki. Yamato uses the abilities of the 1st Hokage to forcibly return Naruto to his normal state. Meanwhile Sai confronts Orochimaru with a message from Danzo. Orochimaru responds by piercing Sai with Kusanagi. Episode 44 - The Secret of the Battle! Yamato uses the first Hokage's chakra to suppress the demon fox's chakra and Naruto returns to normal, but with severe injuries. Sakura begins to heal him, but notes that medical ninjutsu has little effect on his wounds. Orochimaru's sword is revealed to have only pierced one of Sai's clones. The real Sai emerges, talks to Orochimaru and gives him a letter from Danzo. Sai then leaves with Orochimaru and Kabuto but Yamato's wood clone stays close on their trail. Naruto comes to his senses and wonders what happened but Sakura decides not to tell him the truth. They reach the meeting spot, picking up the picture book Sai left behind. Yamato infers that Danzo seeks to destroy and remake Konoha by collaborating with Orochimaru. Kabuto creates a fake corpse that resembles Sai, containing hidden traps to slow down Yamato's clone after sensing it. Naruto hasn't completely recovered from using the Demon Fox's chakra, and Yamato says that he will be left behind if he cannot keep up. Naruto is determined to finish his mission and not slow the team down. However Team Kakashi is forced to take a break when it's clear that Sakura has not fully recovered from her own injuries. Yamato then uses this opportunity to talk to Naruto alone and reveals to him that the one who hurt Sakura was Naruto himself. Naruto is shocked by what Yamato says to him. Naruto finally makes sense of the destruction he witnessed around him earlier. Yamato tells Naruto not to rely on the demon because Naruto is strong enough to withstand the demon's terrible chakra. Sai discovers the loss of his book while resting. 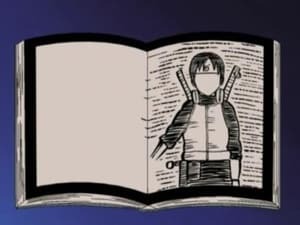 Team Kakashi browse Sai's book, and they notice that the book (which can be read from both ends) contains different paths of two boys who meet in the middle. Each page has the boys fighting someone new, each time collecting the opponent's armor and weapons into the next page. The pages where the two boys would meet are unfinished. Orochimaru's group reach their base, not realizing that Yamato's wood clone trailed them there. 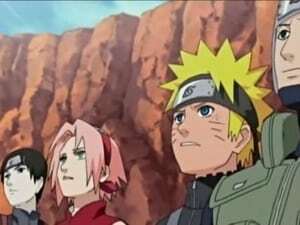 Sai gets a glimpse of Sasuke's silhouette and eyes and discovers that he is the man Naruto and Sakura are looking for. Episode 47 - Infiltration: The Den of the Snake! Sai receives a chilling glare from Sasuke's Sharingan that frightens him. Sai gives Orochimaru a bundle with information about Konoha's ANBU. 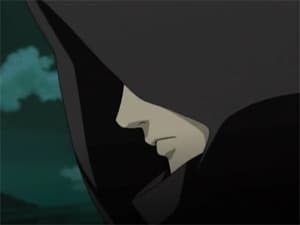 Yamato gives Sakura and Naruto seeds with his chakra that enables him to track them inside the lair, and reveals that he was able to track Sai because he put a seed in Sai's clothing and food during the visit to the hot springs. Kabuto locks Sai in a room, and the boy summons a bingo book from scrolls he carries. 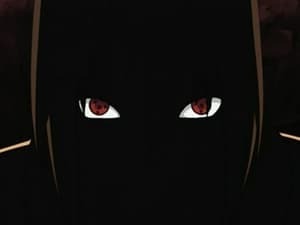 Yamato uses a jutsu to open a tunnel into Orochimaru's hideout, and he, Naruto and Sakura travel to Sai's room undetected. Yamato and the team enter Sai's room and confront him while Kabuto makes his way there as well. 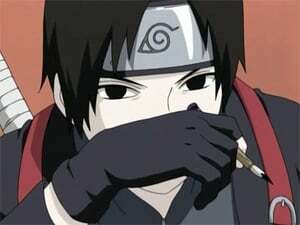 Sai tells Team Kakashi that not only was he to help with Konoha's destruction but also act as a spy against Orochimaru. Yamato reveals the secret of "Root"- its members were trained like Kirigakure's students in that they had to kill their friends so as to eliminate their emotions. Sakura returns Sai's book to him, remarking that he still has emotions because he treasures it. Sai then tells the group about his bond with his brother. Finally the team decides what to do about Sai's betrayal outside the lair. In doing so, Naruto tells the group about his own bonds and about how far he's willing to go to bring Sasuke back. Kabuto fights Team Kakashi and frees Sai. 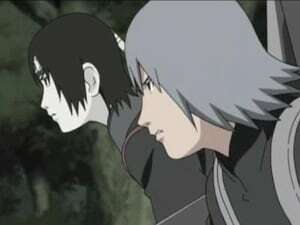 However, Sai, who intends to learn more about his bond with his brother through Naruto's bond with Sasuke, betrays him. Captured, Kabuto gives a vague description of Sasuke's location to the team. Leaving Yamato's wood clone to watch over Kabuto, Team Kakashi enters Orochimaru's hideout and splits up to find Sasuke. As Team Kakashi continues their search for Sasuke, Naruto suddenly collapses due to his previous fight with Orochimaru. As Naruto wakes up, Sai begins to reveal more about his brother, but Orochimaru suddenly attacks them. 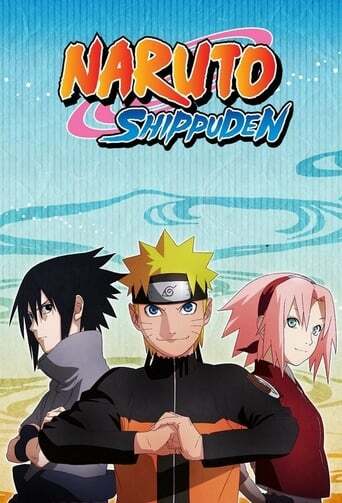 Sakura and Yamato come to Naruto's aid against Orochimaru, while Sai continues the search. Just as Sai finds Sasuke, Yamato finds Sai's bingo book with Sasuke listed as a target for assassination. As Team Kakashi continues their search for Sasuke, Sai approaches Sasuke's room and awakens him. Shaken by the image of Sasuke's Sharingan from earlier, Sai attempts to restrain him. 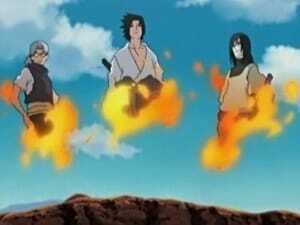 A large explosion occurs and Sakura, Naruto and Yamato catch up. At first Sakura tries to restrain Sai in order to find out his true objective, but she stops, stunned at seeing her former comrade. Contrary to what the rest of the team assumed to be his mission, Sai tells them that he wishes to bring Sasuke back to Konoha. Sasuke begins to attack Naruto, but Sai restrains him only for them both to be blown away by Sasuke's Chidori Nagashi. 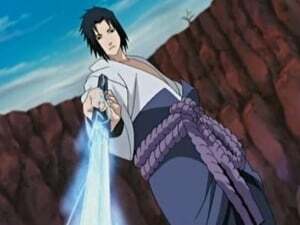 Sakura charges at Sasuke, but Yamato intervenes and winds up being stabbed by Sasuke's unique blade infused with his Chidori. 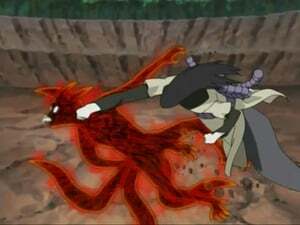 The Nine-Tailed Fox tempts Naruto with its power, but he refuses it. 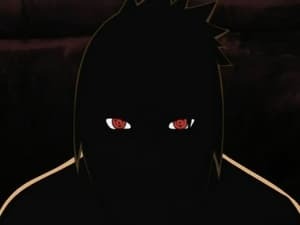 Sasuke sees this using his Sharingan, appearing in Naruto's mind. The Nine-Tails says that Sasuke's chakra reminds him of Madara Uchiha, then Sasuke suppresses the Nine-Tailed Fox's chakra. Before the Nine-Tailed Fox returns to its cage, it warns Sasuke not to kill Naruto, saying that he will live to regret it forever. Orochimaru and Kabuto convince Sasuke to withdraw with them, and Naruto weeps over his failure to return Sasuke to the village, but Sakura reassures him that they will bring Sasuke back together. Naruto's team reports to Tsunade about the results of the mission, and Tsunade is greatly angered over Danzo's scheme, particularly his leaking classified information to further it. Sai asks Danzo to allow him to remain with Team Kakashi, and Danzo reluctantly agrees. Sai goes on a mission with his team, having come to see them as his friends.